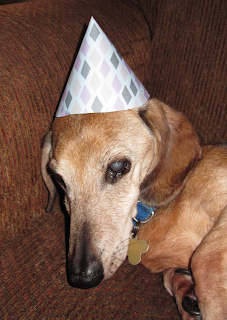 Dudley had his 15th birthday on September 15! 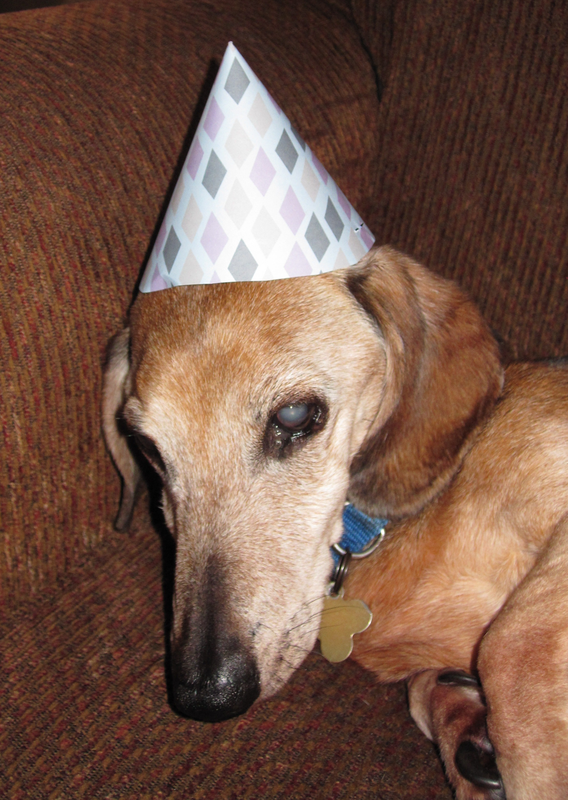 He has been having more trouble getting around just because his eyesight is failing more. He gets disorientated and bumps into walls and furniture. I interrupted his nap so he was not very excited about getting his picture taken in his birthday hat. I'm almost ready to put together another "month" block from the In my garden quilt. I'll post that next week. I did get my replacement for my little red iron and went to a stitch in at a friends house yesterday and got a ton of work done. I just love my little red iron!